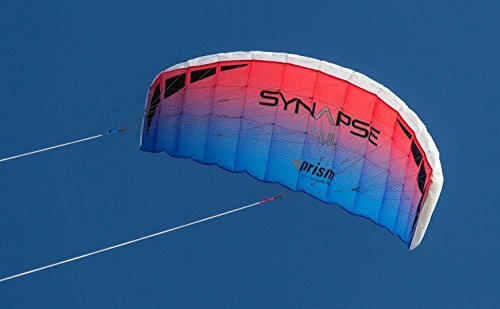 Prism Synapse 200: Power Foil 2-Line Kite – Speedy and agile, the Synapse rips through the sky wherever you go – smooth and precise with solid pull. Guaranteed to thrill, the Synapse series is all about speed and agility. Perfect for beginners to experienced pilots alike, the Synapse comes ready to fly and stuffs into a compact pouch to take with you anywhere. Their high-aspect wings steer like sports cars with fingertip accuracy for experienced pilots yet stable and forgiving for new pilots. The all fabric design means no frame parts to damage and no assembly required. Choose from three sizes- the bigger you get, the more you’ll feel the power of the wind. 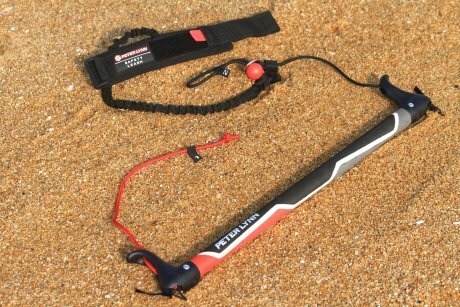 Peter Lynn 2-Line Control bar Accessory: designed for use with 2-line powerkites. 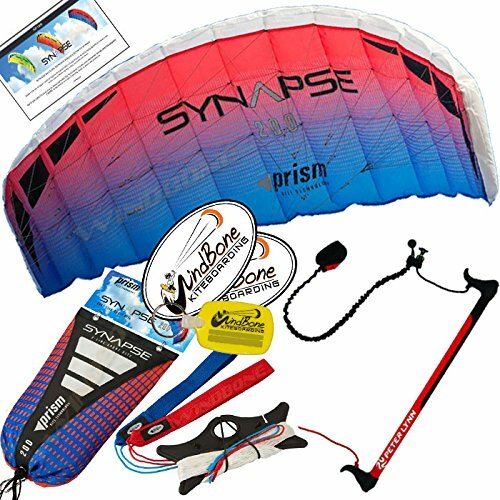 The bar features EVA foam grip and line winders to store your lines when not flying your kite. The bar is color coded, for an easy recognition of which side is left and right. 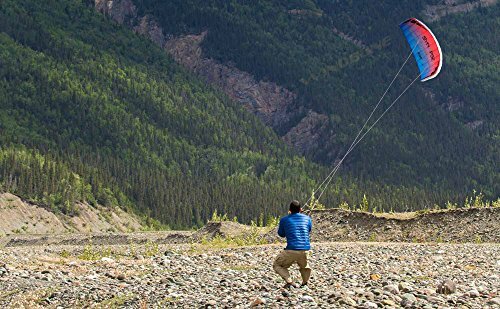 In case you want to lose the power of the kite, simply let go of the bar to release to included safety leash. 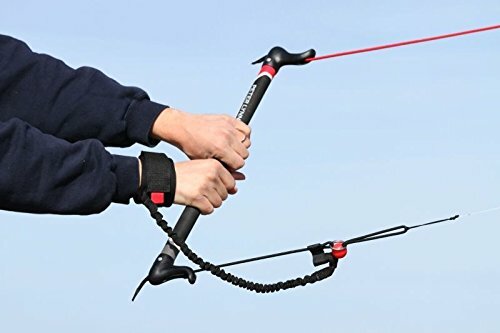 You will still be connected with the kite through one flying line attached to the included safety leash with wrist cuff strap.